Decorate any window or door with these traditional wreaths from Park City Nursery. Berries, holly, artwork, pine cones and ribbon on an evergreen wreath. 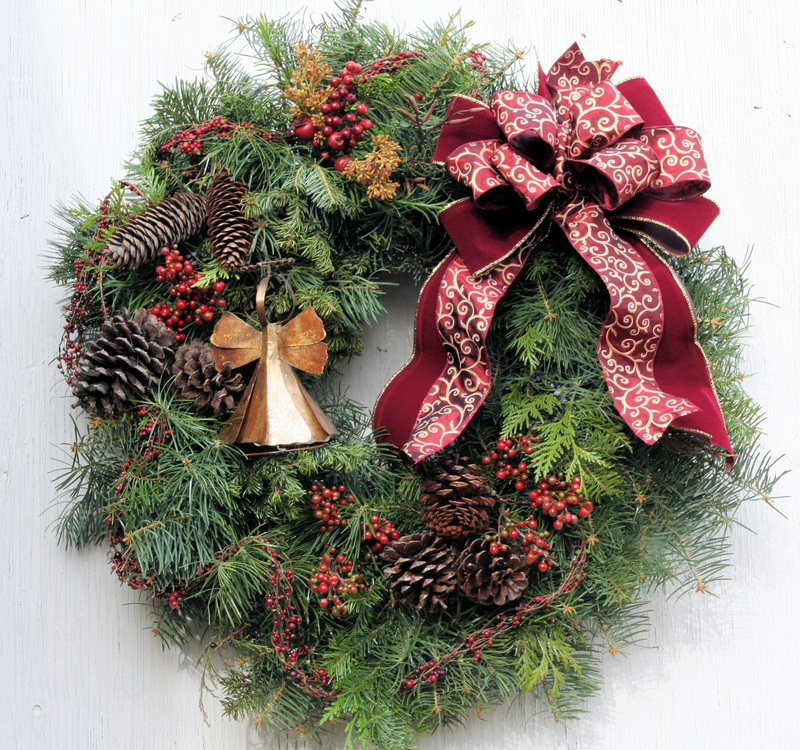 Our wreaths are fresh greens from Idaho and beautifully handcrafted at The Park City Nursery in Park City, Utah. The fresh wreaths for the doors are beautiful and we will deliver them to friends or family early in the season beginning the day after Thanksgiving, and are available for shipping up to December 22nd each year. 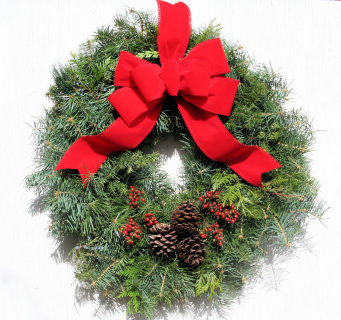 Whether adorning your front door or decorating your mantel, try one of these stunning Christmas wreaths this holiday season. 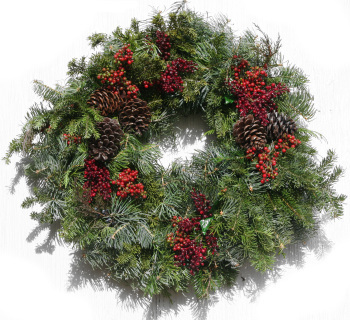 Our Live Fresh Winter Wreath beautifully captures the spirit of the season. If you are shipping as a gift please put a note in the seller's note at checkout any notation you would like handwritten to your friends or loved ones. *Please specify in the seller's note at checkout your desired ribbon color (we have everything!) and if you would like any ornaments included. If you do not specify, we will stick with classic holiday colors/themes. *Please specify in the seller's note at checkout your desired ribbon color (we have everything!). If you do not specify, we will stick with classic holiday colors. 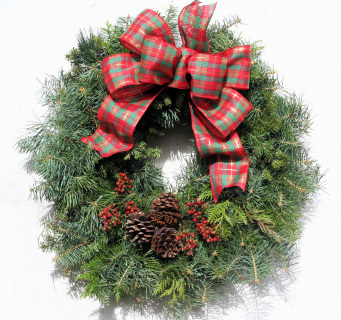 Please call Park City Nursery at 1-435-649-1363 for your special decorated custom fresh wreath or swag. “Symbolizing eternal hope, the wreath goes 'round and 'round, And where it starts or ends cannot be found. Woven of things that grow - for life, and hung for holiday delight."